What a wonderful time to be a consumer! As the popularity and proliferation of SaaS products continues, so does the number of free trial offers. It seems you can’t go to a website these days without being able to test out a product for free, and as a buyer, it’s great! The ability to try before you buy is the best way to make an informed purchase, but it also opens up a can of worms for SaaS companies that need to figure out the perfect balance between try, buy, and streamlining the movement from one stage to the other. Get the free guide to triple your SaaS trial users! Should I go with a Freemium or Free Trial model? How much access should I give to the product? How long should I allow someone to use the product for free? What kind of Free Trial model makes the most sense? How many free users can I support and still make money? While this article won’t answer every question on that list, at the very least, I can help you tackle which type of Free Trial model might work best for you -- more specifically, if it should be opt-in vs opt-out. In order to facilitate discussion of the different types of free trial models and how each can provide benefits or drawbacks, it is first important to make sure we have a shared understanding of what the free trial funnel (the journey from free trial user to paying customer) looks like. Website Visit: A user will first need to become aware of the product either through word-of-mouth, search, or an advertisement. 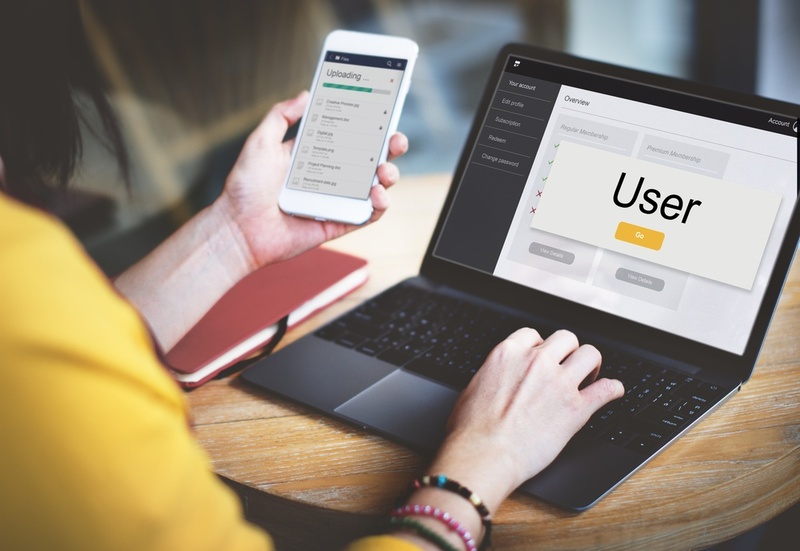 No matter how they first become aware, the most important step to get a user started down the free trial path is to get them to visit the website. Free Trial Conversion: This is the point at which the user converts and begins their free trial. This may be preceded by engaging with other material on the website or downloading other offers, but this step is the first toward our focus of actually engaging with the product using a free trial. Paid User Conversion: This is the point at which the user converts from being a free trial user to becoming a fully paid user. This is our ultimate goal and when we would consider this individual an official customer. Retained Users: This is the point at which a user has been a continuing user for at least 120 days (based on research by Totango). As previously discussed in our blog comparing Free Trials vs. Freemium models, the two most common types of Free Trial models are Opt-in and Opt-out. An Opt-in Free Trial allows a user to access the free trial without putting in any payment information up-front, while an opt-out free trial does require it. Each style has pros and cons that can affect the performance of your business pretty significantly. For a SaaS company, a free trial is the gateway to paying customers, making it one of the most crucial stages of the buyer’s journey. Each of these models has very different implications for how many people you can push into that stage and ultimately into paying customers. The model you choose will be one of the key determining factors in how your conversion rates look at each stage through the Free Trial Funnel and ultimately your revenue. While conversion rates will naturally differ across various industries and product types, it is important to get a baseline understanding of the difference in conversion throughout the Free Trial Funnel. For that, we turn to the fantastic research of Totango. The Totango team’s research on SaaS Conversion Rates across the two free trial models can help give us an idea of how each performs. As you can see, each model shines at different points along the conversion path. Selecting the right model is really about determining where you are now and where you have the quickest opportunity to improve. Just like there is no right or wrong answer when you’re deciding between chocolate cake or chocolate ice cream, there is no wrong answer here. Both models have their strong suits and the model that is right for one situation may not be right for another. Luckily, there are four questions you can ask yourself to determine which option might be the best fit for your product or brand. 1. How mature is my product or brand? First and foremost in the opt-in vs. opt-out debate is the question of product maturity. Is your product a well-known brand name or are you relatively unknown at this point? Brand recognition and trust is a huge factor in the willingness of an individual to part with their credit card information. Larger, more well-established brands can much more easily use an opt-out model as more people trust that their credit card information will be safe and that they won’t be incorrectly charged. Additionally, knowing there is a support department, ready and waiting just a phone call away to solve problems makes people much more willing to take the risk. Convincing people to provide credit card information is far more difficult for brands that are smaller or new to the scene. Companies in this category would do best to start with an opt-in model instead as they work to increase their brand awareness and trust. 2. Where is my best testing ground? At each stage in the Free Trial funnel, you have opportunities to test and improve your conversion rates. When deciding which model to go with, think about which of the three stages has the most opportunity for you to test and improve rates. Then you’ll want to select the model that drives the most people into that stage for you. For example, let’s say I’m launching a brand new product. In this situation, I will have a very small audience to work with overall and my best opportunity to test and improve quickly would be to drive as many people into my free trial as possible (Stage 2). Then I can test and improve my strategies for converting free trial users into paid users and get the most bang for my buck. In this case, using an opt-in strategy would be best. On the flip side, let’s say I have a great deal of free trial users already engaged and I’m struggling to retain my existing customers. I probably have the best chance of testing and improving in my onboarding and customer retention processes (Stage 4). In this instance, getting more free trial users would actually overwhelm my efforts and make it difficult to focus. That being said, the opt-out method would fit best. 3. How do you want to build trust? No matter which model you use, at some point during the Free Trial Funnel, you’re going to have to build trust with your prospect if you want them to become a paying, retained user of your product or service. The question is, at which point would it be easiest for you to build that trust? With an opt-out free trial model, you’re going to have to build the largest amount of trust before a user signs up for a free trial. You’ll need a great inbound marketing program in place to provide value and prove that you can be trusted enough for a user to give you credit card information in order to start a trial. On the other hand, with an opt-in free trial model, you’ll be building the lion’s share of that trust during the free trial period. Because of the much lower barrier to entry, more people will be willing to engage in the free trial and you can use your product and communication strategy to build trust with the user before they have to ultimately purchase. No, don’t get me wrong. Regardless of which model you choose, you should be planning to build trust both before and during the trial; It is just a factor of which of those periods you will want to focus more on that trust-building. 4. Who are your personas? I often feel like a broken record when I talk about personas, because I think I mention them at least once per blog post that I write --but they are that important! Know who your personas are and know which model they’d be more comfortable with. When all else fails, pick the model that would appeal to the largest percentage of your audience. Ok, so what I hope you leave with is this: there is no one-size fits all, no one right answer. I’d even recommend testing both types of models over time to see which works best for you in the long run. Pick the right model for where you are right now as a business and then re-evaluate every year to see if the model is still working for you or if things need to change and don’t be afraid to test.